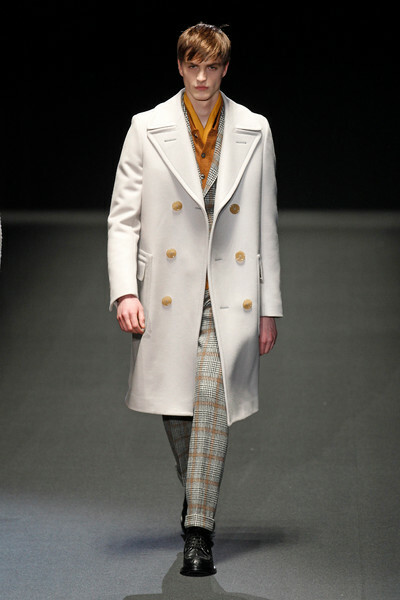 A statement coat might be one of the most important menswear items for winter and for come fall it seems check prints are the way to go. 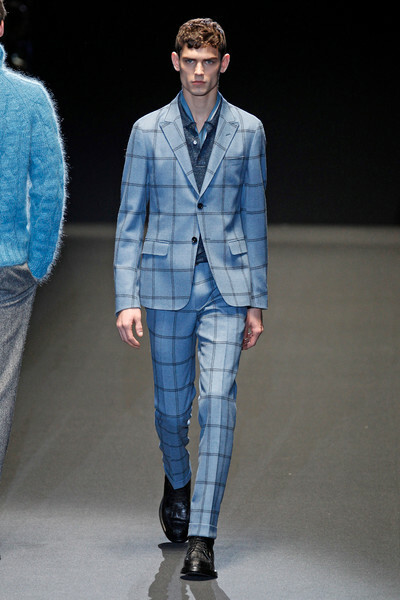 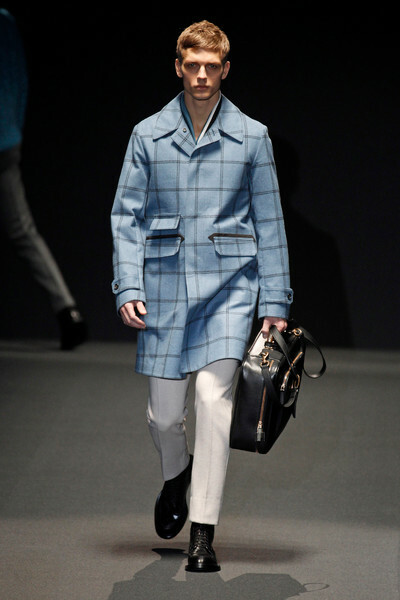 While Miuccia Prada gave us a baby blue table cloth coat, Frida Giannini introduces a slightly similar blue version with a larger check. 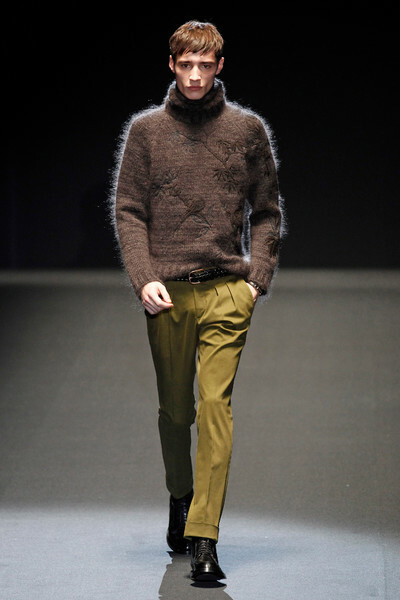 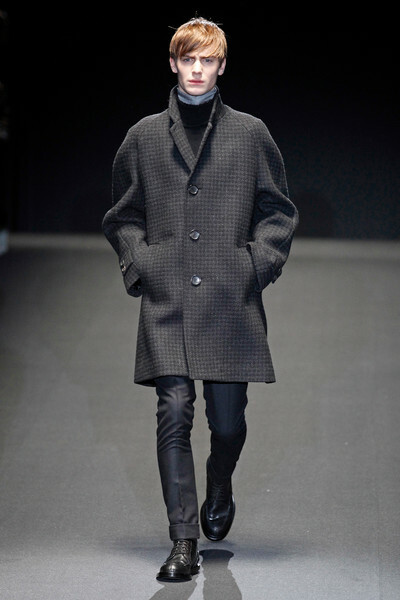 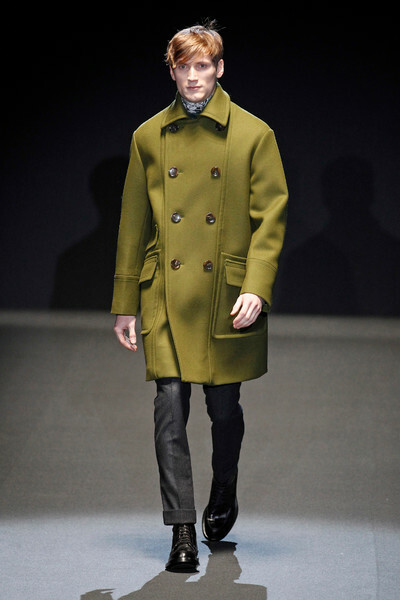 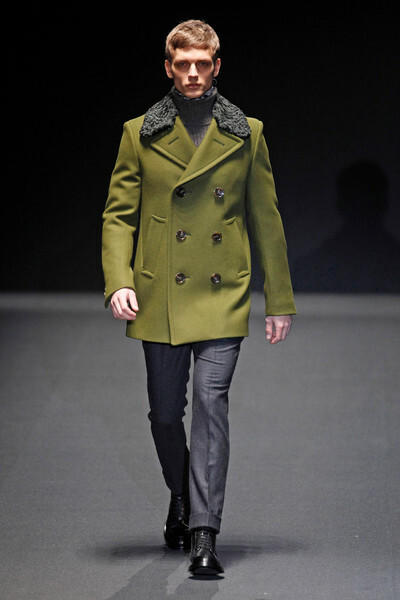 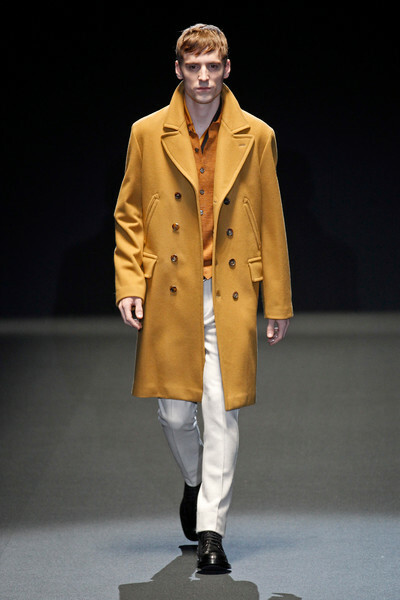 Followed by beautifully colored woolen coats in mustard, pea green and black. 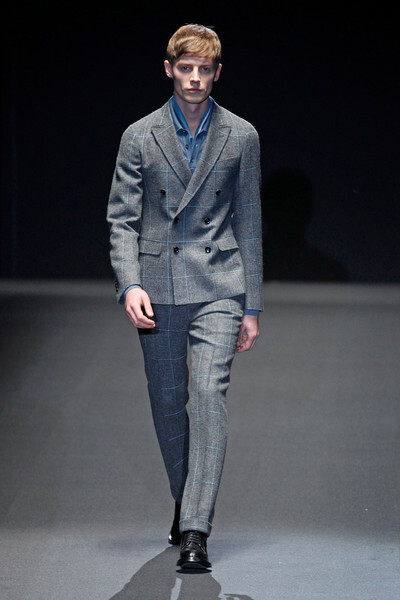 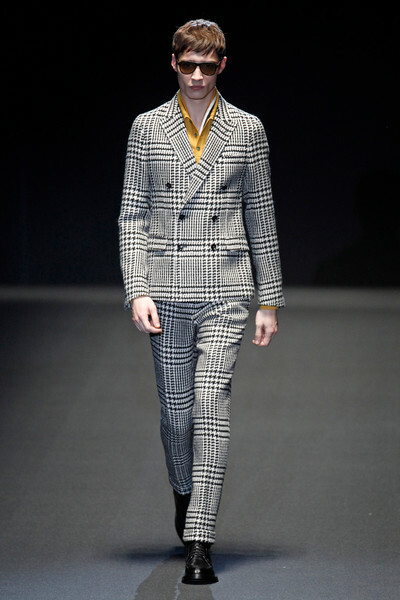 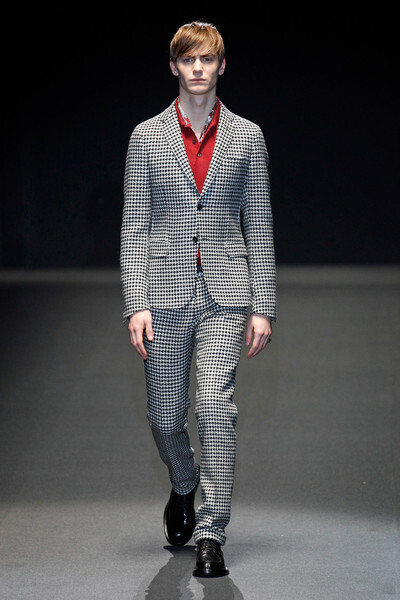 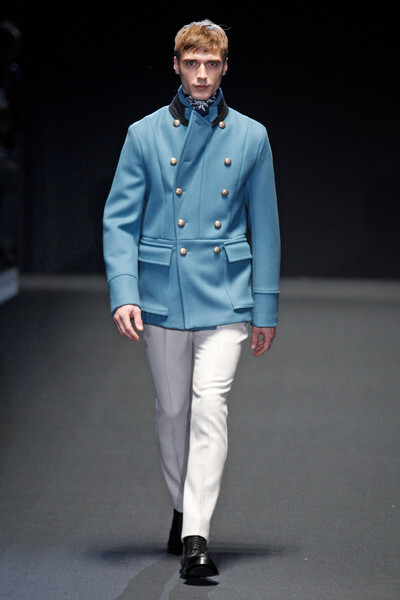 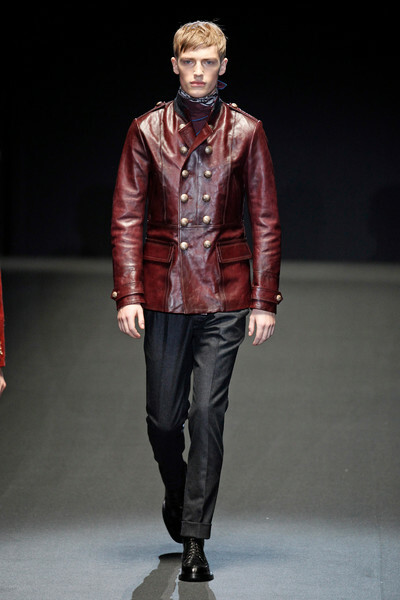 The clothes breathed ‘luxury’, more than ‘trendy’ as they portrayed a modern sixties feeling. 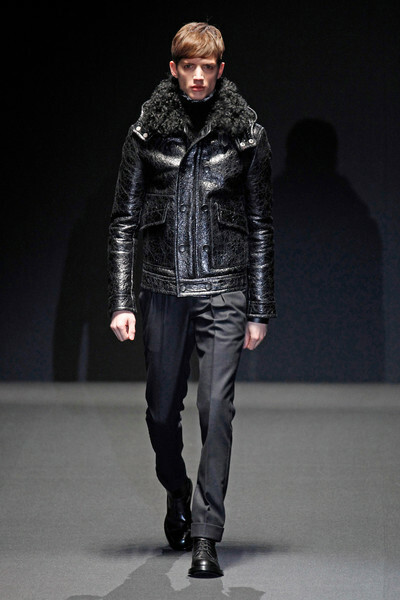 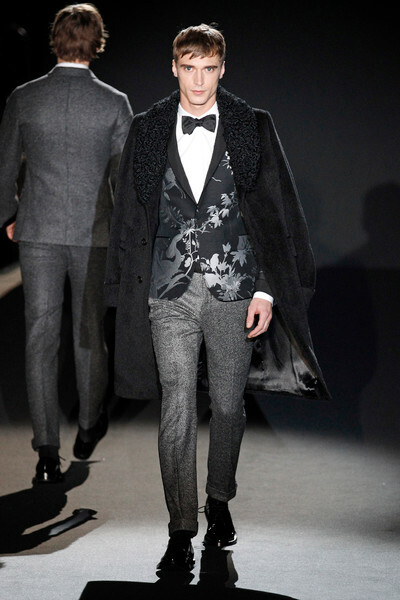 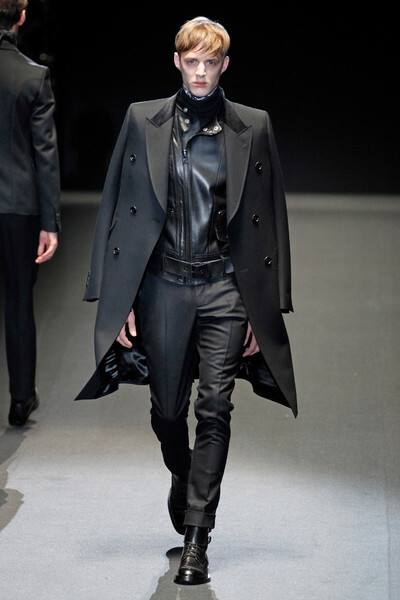 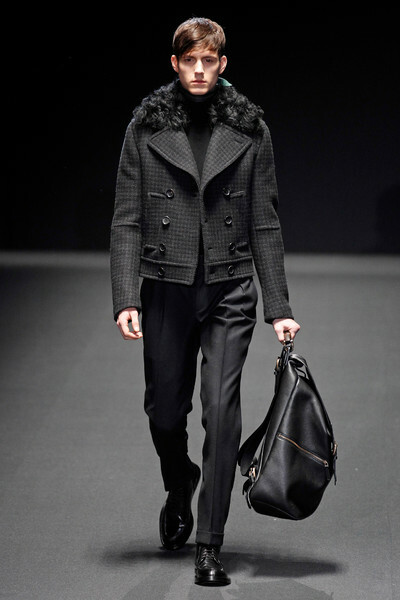 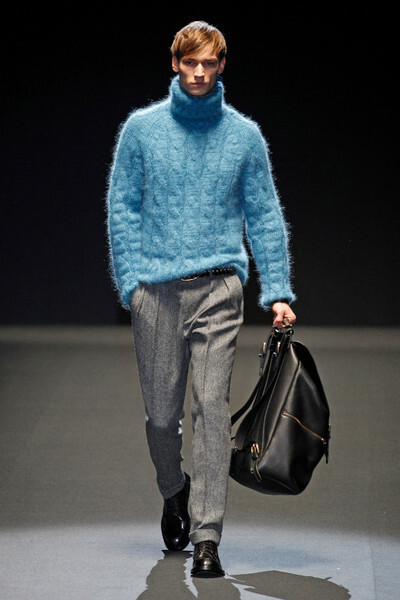 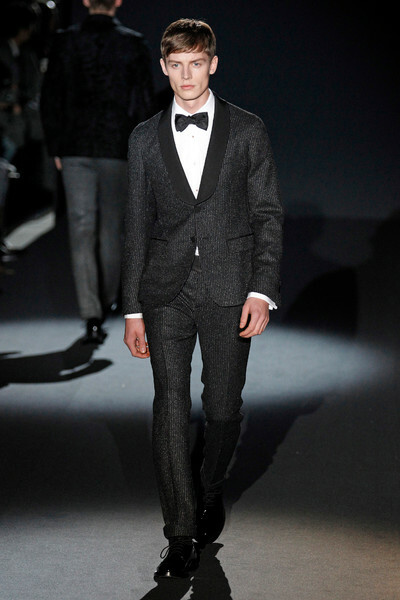 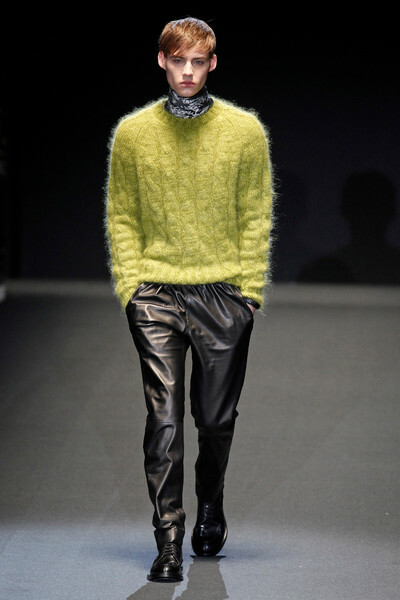 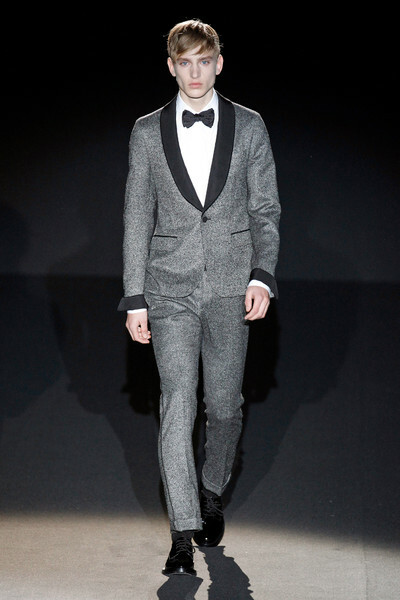 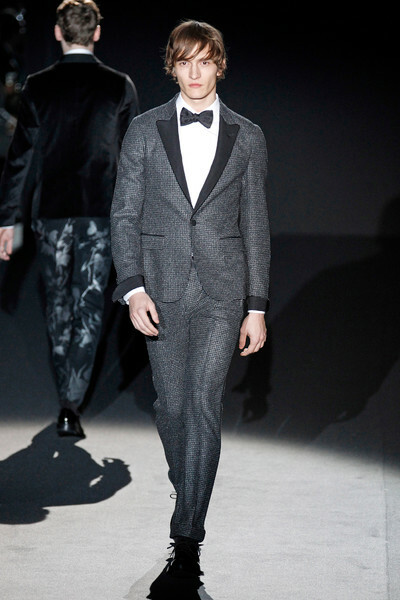 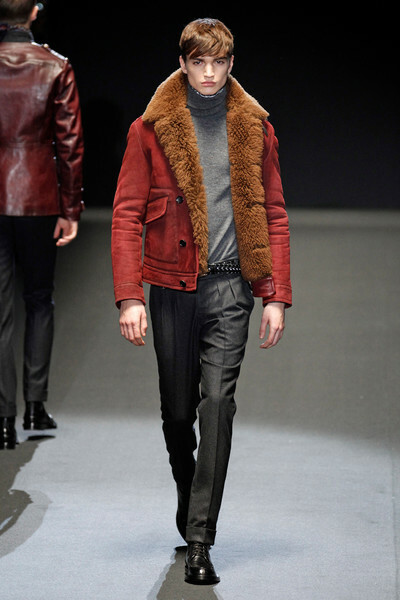 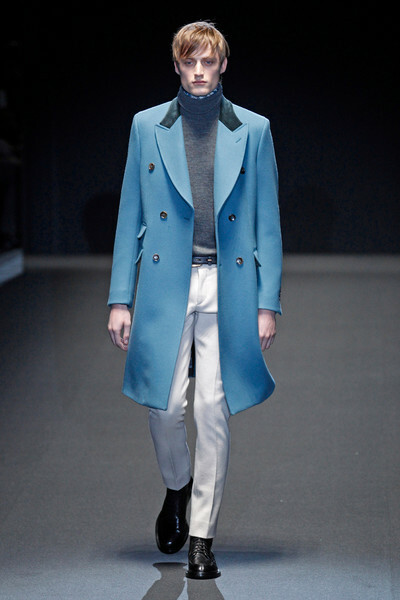 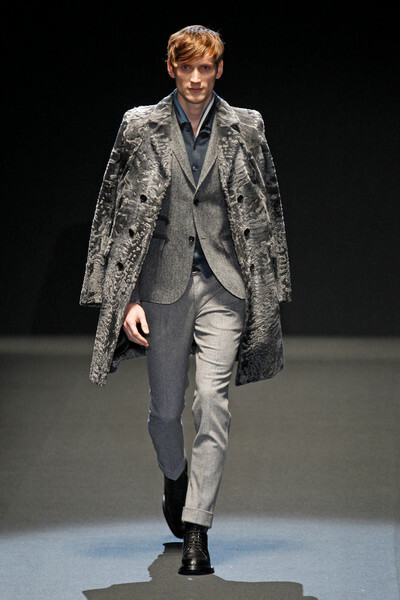 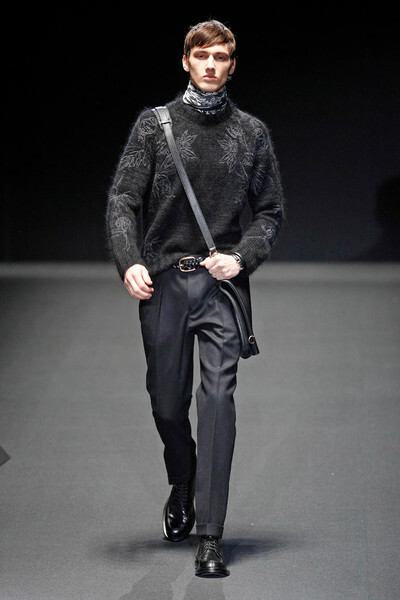 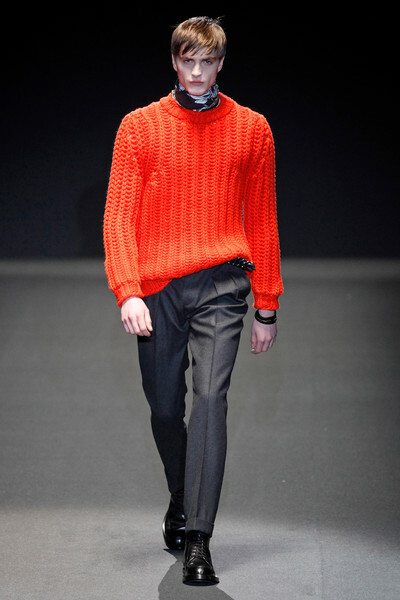 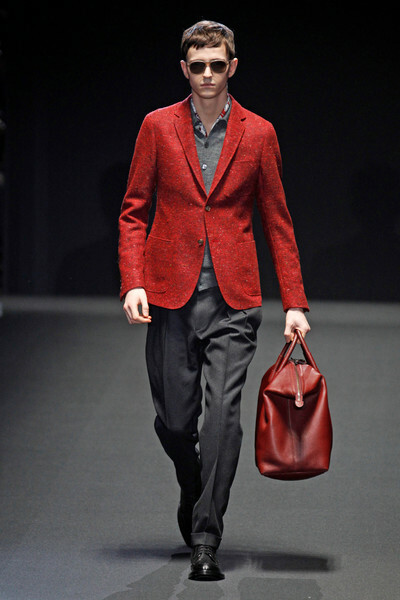 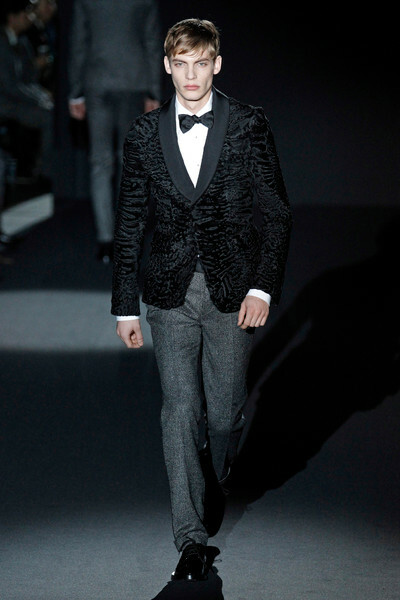 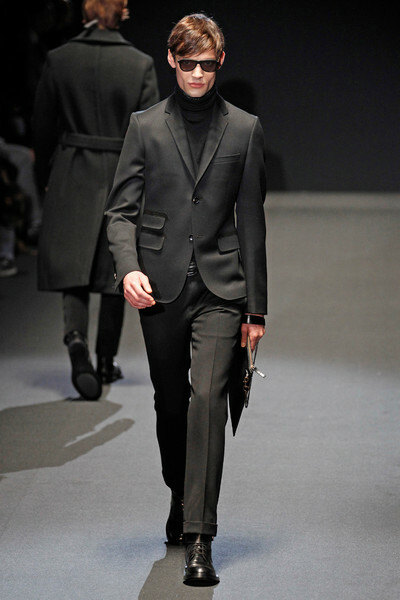 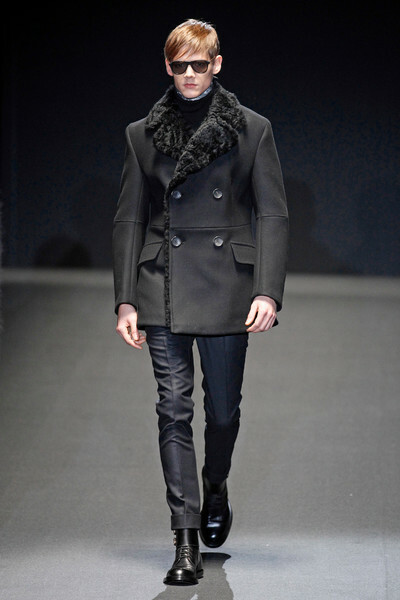 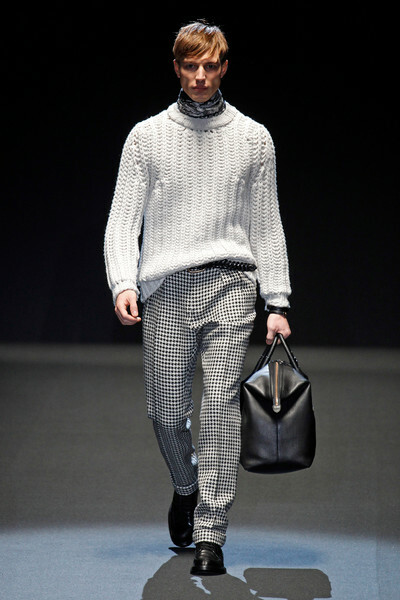 Other winter necessities were present too; the bright colored chunky sweaters and slick tuxedos done in winter materials. 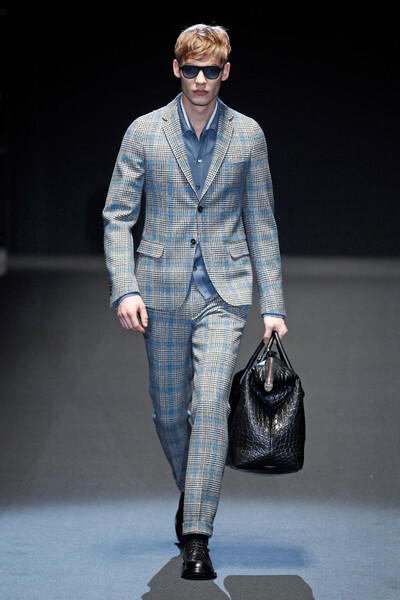 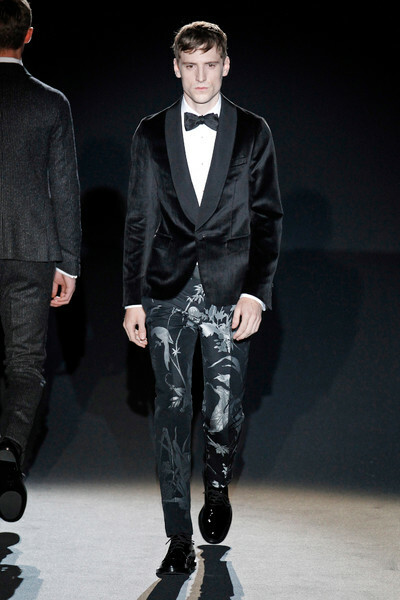 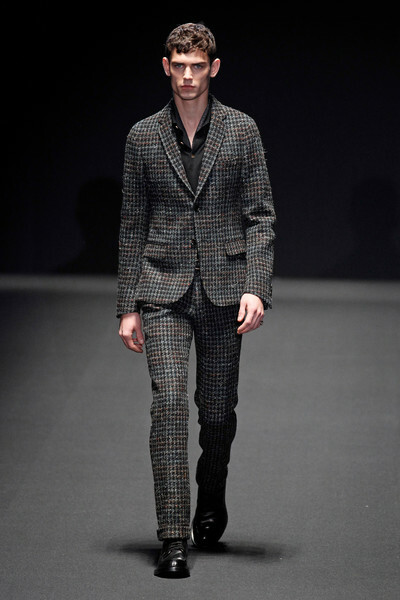 Pieces most men will be able to pull off, although we assume it might take a while before those tight leave printed pants will run out of stock.